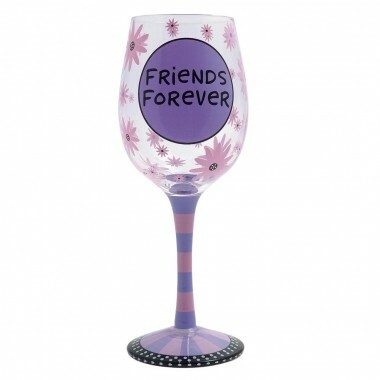 Friends Forever Wine Glass, Complete with Gift Box. Hand painted inscription 'Friends Forever And That's Not Just The Wine Talking'. 22cm tall.